Outdoor decorating allows you to employ creativity and possibly even conservation to your curb appeal. Old indoor decor, yard sale finds and spare building materials can all be upcycled into fun and interesting decor for the garden, backyard or patio. This guide provides decor ideas that are both fun and durable enough to withstand outdoor elements. Use potted plants and vertical gardens to bring greenery closer or create pops of seasonal color in your outdoor areas. Go for planters that complement your design theme or choose basic terra cotta pots in various sizes and let the plants be the focus. 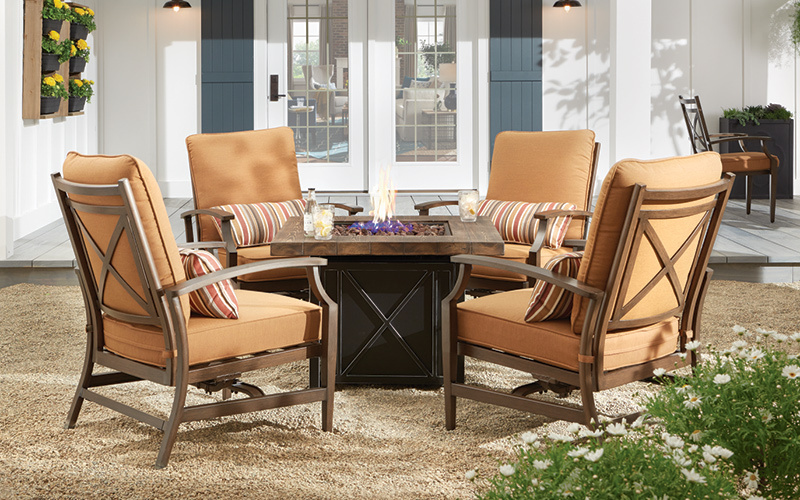 When choosing supplemental outdoor furniture, consider how it will look with your main patio furniture and if it serves the overall design theme. Remember that it's not necessary for everything to match exactly. 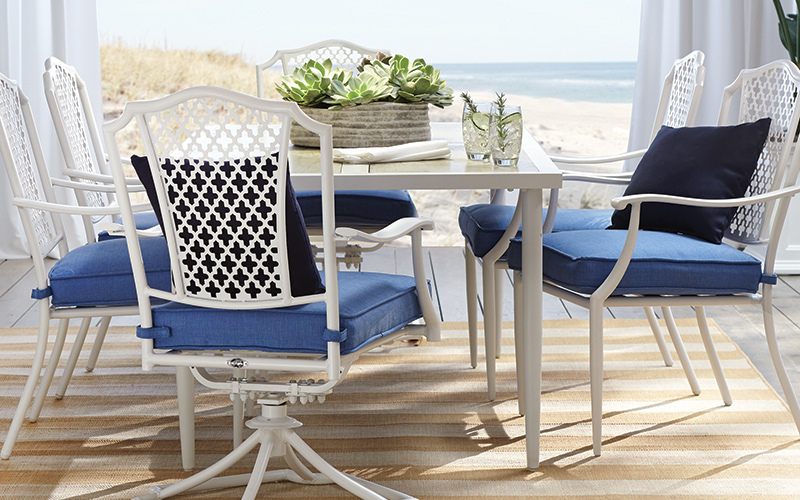 A single lounge chair, side table or patio accessory in a standout color or unusual design can still mix well with another design statement and even serve as an exclamation point in your decor. 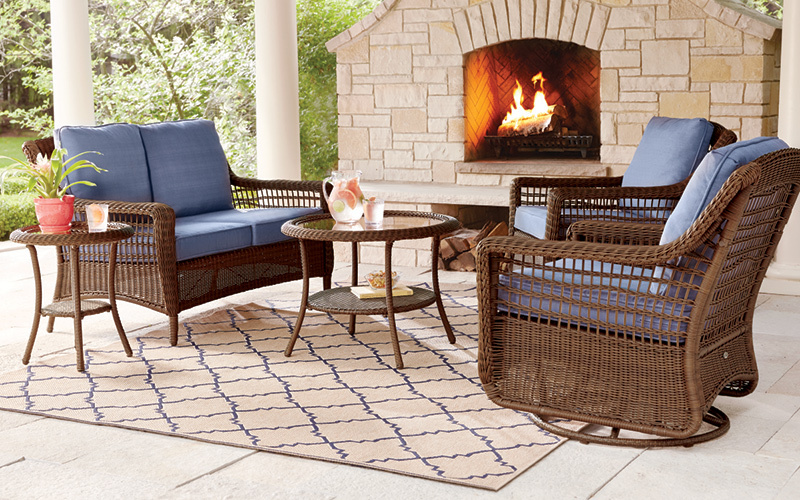 Soften your outdoor areas and add bursts of pattern and color with hardy, easy-clean outdoor rugs. Available in a wide range of sizes, shades and designs, these durable rugs will showcase your style and provide comfort underfoot for years to come. 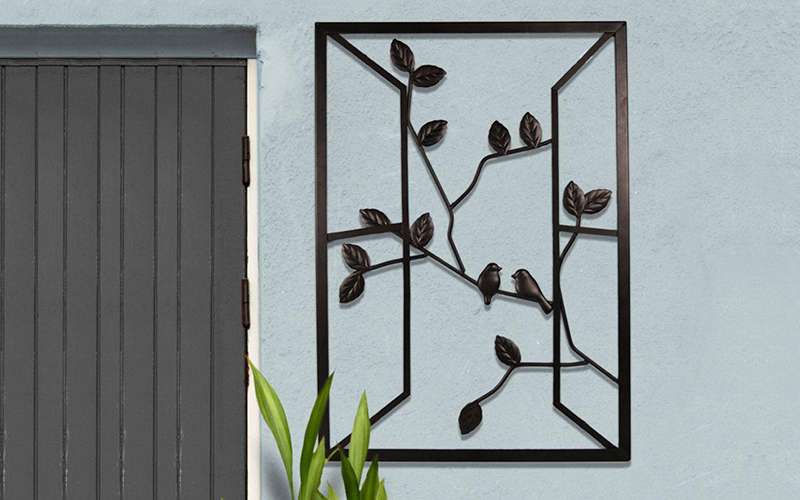 Hang some wall decor outside to add warmth and visual interest to bare exterior walls. Whether next to the house on the porch or facing out from a garden wall, outdoor wall art, clocks and wall sculpture provide unique style touches. The pieces can also be easily rotated to keep the decor fresh from season to season. 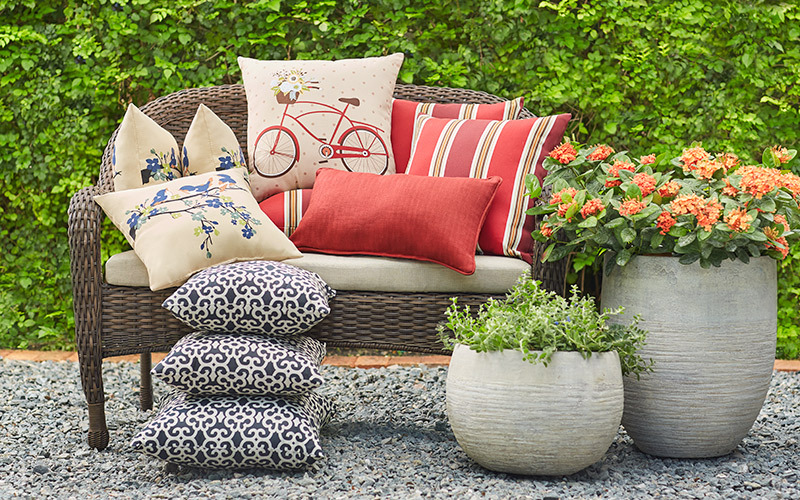 Use beautiful outdoor cushions to add element of comfort and style to your outdoor space. Pillows and poufs are an easy and cost-effective way to change out colors for a season when paired with a neutral base patio furniture. Get various sizes so that you have the versatility to use them for cozy decor or to soften up the seating on a hard bench. Jumbo pillows can be even be used as floor seating for larger informal gatherings. 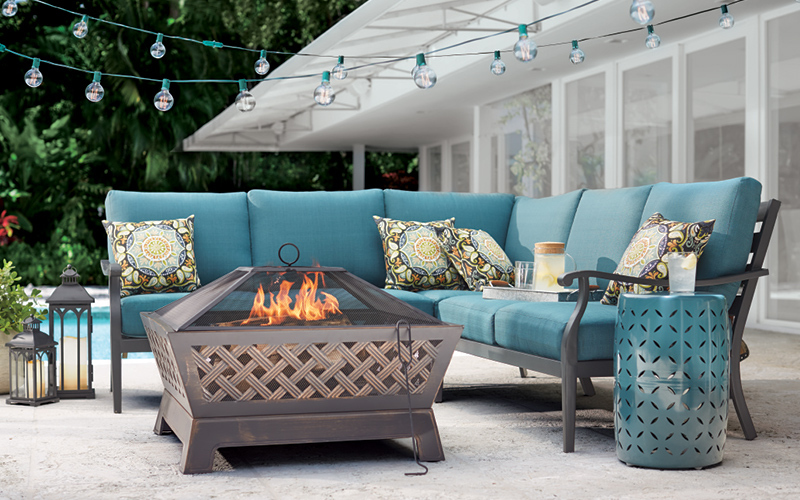 Look for weatherproof, stain-resistant fabrics and solid inner materials that will retain their shape but still feel plush year after year. 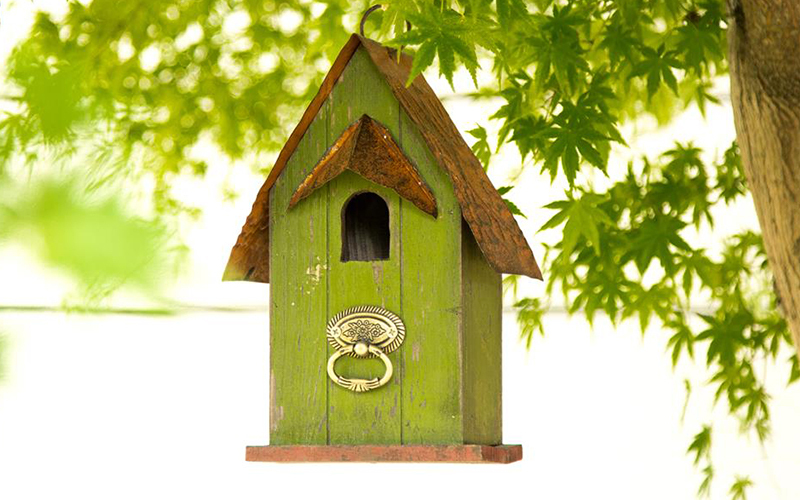 Encourage visits from feathery friends with birdhouses and bird baths that express your unique style. As an added bonus, you'll enjoy the added element of sound in your space with cheerful chirping as background music when you relax in your garden or backyard. 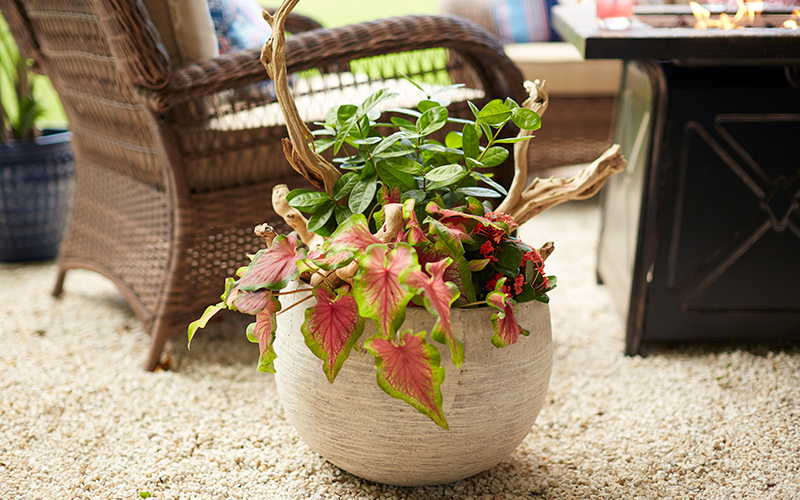 An easy approach to outdoor decorating is to simply carry the style you adopt inside to the outside. Whether classic, farmhouse, coastal, modern or any other design you’ve embraced, you can look for pieces that have a similar aesthetic but are built to endure the outdoor environment. 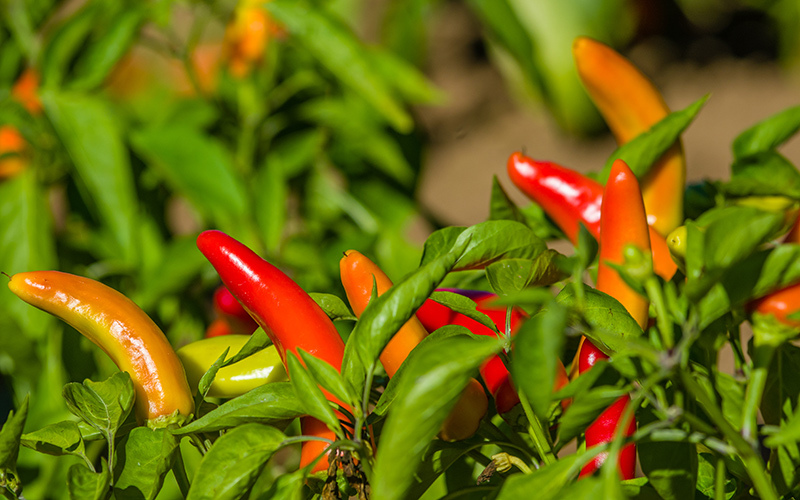 Let edible plants take the stage. Use small pots of fresh herbs, strawberries or small peppers as centerpieces on your outdoor dining tables or accents on side tables. Swap them out seasonally; trade summer basil and cilantro for rosemary, sage and baby kale in fall. Light the way to enjoyable evening with outdoor lighting. Swags of string lights overhead look festive in any season, and there are many styles to choose from including miniature lanterns, Edison bulbs, stars, and more. While string lights are the simplest option, there is a wide range of outdoor lights if you're looking for more permanent solutions. Try capping posts with deck lighting, outlining the patio with path or walkway lights, or even placing a few hanging lanterns in nearby trees for lighting at various level. Whether hanging, planted in groups or incorporated into elaborate design projects, succulents are a great new trend in decor. 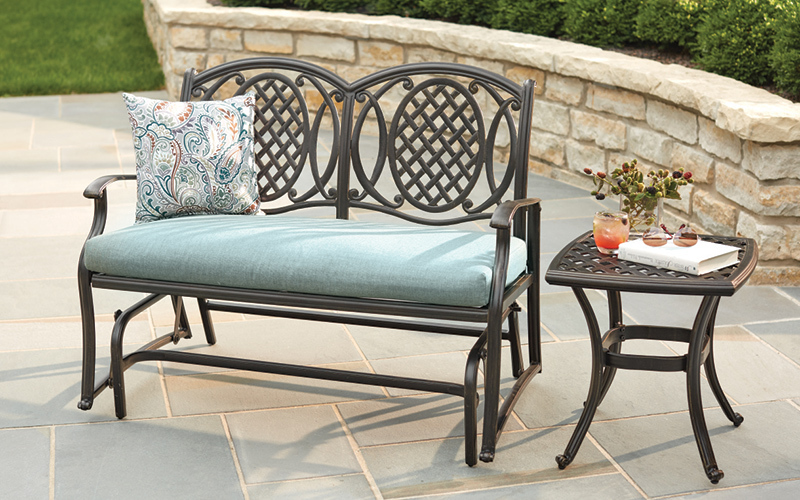 Their striking look, versatility and ease of maintenance make them excellent additions to outdoor design. 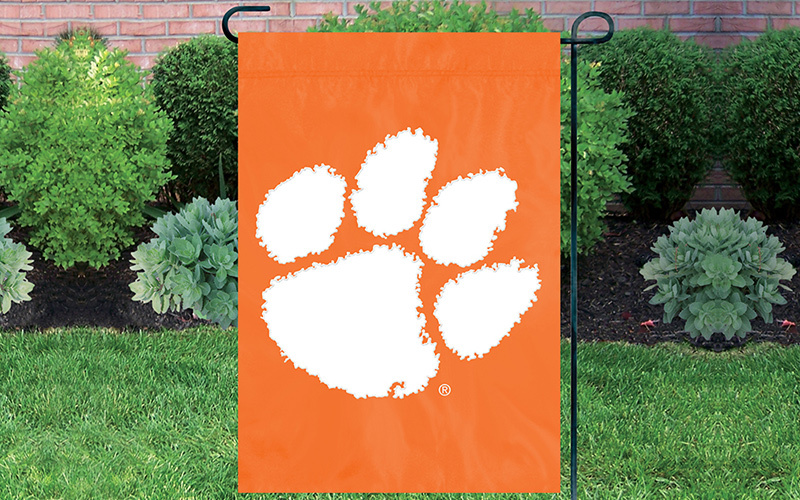 Nothing welcomes visitors with a whimsical personal touch like a garden flag snapping in a breeze. With so many designs available, you can find something that expresses your style, celebrates the season, or shows support of your favorite team.